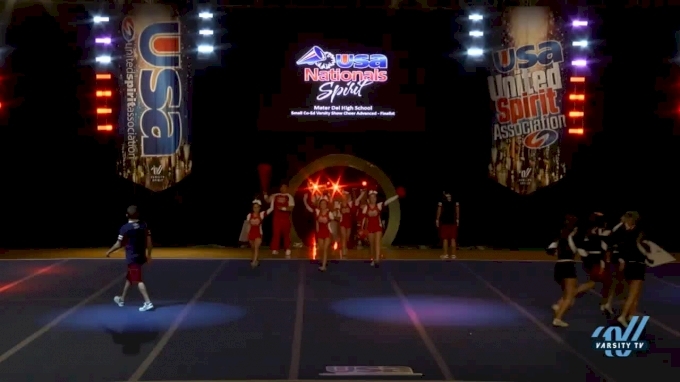 For the first time in 16 years, USA Spirit will crown a new Small Varsity Co-Ed champion! Mater Dei High School has won that division for the past 16 years in a row, but the California spirit squad is moving to the all girl division this year and the title is up for grabs! The Monarchs from Santa Ana, California, are legends at USA Spirit Nationals and they are excited to take on the Large Varsity Show Cheer Advanced Division. This season, the Small Varsity Co-Ed division is made up of 10 teams who will be battling it out for the title this weekend in Anaheim, California. Don't miss your chance to find out which team will take the title as they new Small Varsity Co-Ed Champion for the first time in 16 years. Watch every performance LIVE February. 23-25 right here on Varsity TV!